Driving. We all need to drive, whether it’s to the grocery store, to work, or to pick the kids up from school, everyone relies on driving. But, there are some things that affect our driving, one of which is distractive driving. For the month of April, it is National Distractive Driving Awareness Month! Distractive driving is a growing issue. As our population grows, so does the number of drivers. 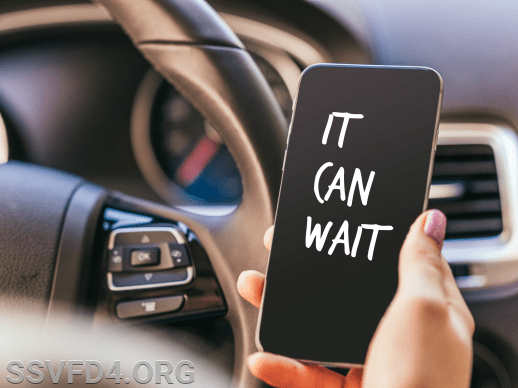 According to the National Safety Council and the Center for Disease Control, at least nine people will be killed and anywhere from 100-1,000 people are injured every day because of distracted driving in the United States. There are many things that distract us from focusing on the road. Distracted driving can be as simple as changing the radio station or looking at your back seat passengers, but you can also be distracted by your cell phone or from something you notice that takes yours eyes off the road. One of the major distractions that drivers face is texting while driving, especially in younger drivers. The Federal Communications Commission stated that cell phone use is found to be the highest in drivers 16-24 years old. Nevertheless, it is reported that at any given moment, during day-time hours, approximately 660,000 driver are using cell phones or other electronic devices while operating a motor vehicle! While this may seem bad now, it only gets worse. A study conducted by the Texas Transportation Institute showed that the normal reaction time for a driver not texting or using the cell phone was around 1-2 seconds to notice a hazard approaching. For drivers who were told to text while driving (in a controlled environment) found the reaction time to be 3-4 seconds to notice an upcoming hazard. To make the research even more worse is that some participants completely missed the hazard and was distracted the whole time while driving. Some other factors that are affected by texting while driving are the ability to maintain lane and to maintain a constant speed. Researcher at the Texas Transportation Institute noticed that driver who text and drive were more likely to swerve and were unable to stay within their respective lane. It was also noted that drivers naturally were unable to maintain a constant speed. Drivers who text and drive are more likely to slow down; a natural reaction due to mind trying to multi-task. •	Secure your belongings – By having your belongs secured in place and not moving around while driving, it allows you, as the driver, to keep your eyes and hand where they are need to be, on the wheel and on the road. •	Do NOT send or read texts – One of the simplest steps to take. Place your phone in a secure place and don’t use it till you are in a safe place to do so. •	Pre-Set your radio stations – Having your favorite radio stations pre-set will allow you to simply push one button. This helps to limit the time your eyes and hands are away from where they need to be! •	Refrain from eating, drinking, or smoking – These activities take your hands away from the wheel and your eyes away from the road. •	Know your route – If you get lost and need to look up where you are on a map or on your phone, pull off to a safe location to do so. Distractive driving is a dangerous activity as we all know. During the month of April, try to limit your distractions and see what changes you can make to limit your distractions. As the National Safety Council says, #JustDrive! Below are some links to check out for more tips and ideas on how to be a safer driver.